Fun Kids' Stuff for Play Time & Snack Time - Create. Play. Travel. Every mom with young kids dreams of their children being able to play nicely together by themselves. Well, at least I do if that’s any indication. My kids are ages 2, 3 and 5 — all of which struggle with attention span, self control and sharing. We regularly practice playing together and enjoying independent play in the next room over. While I’m making their snack, my kids get the chance to play nicely with their interactive toys and preschool activities. 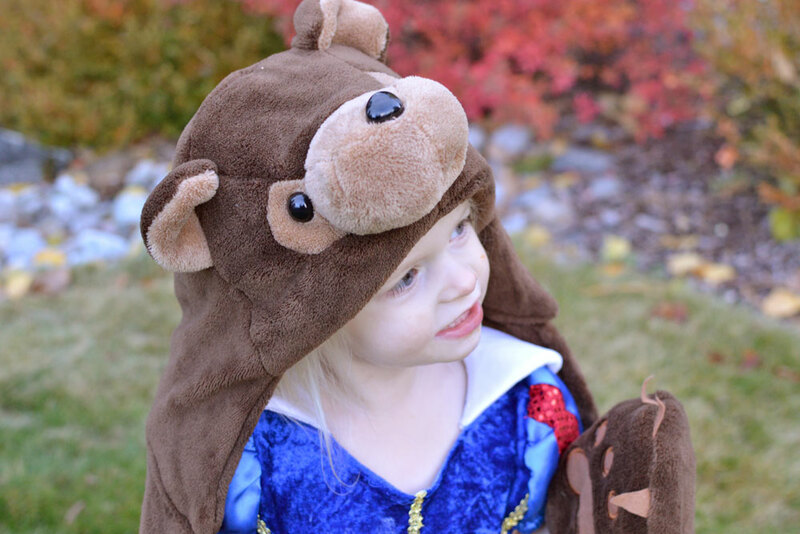 They also enjoy exploring the outdoors and my older girls love dressing up! 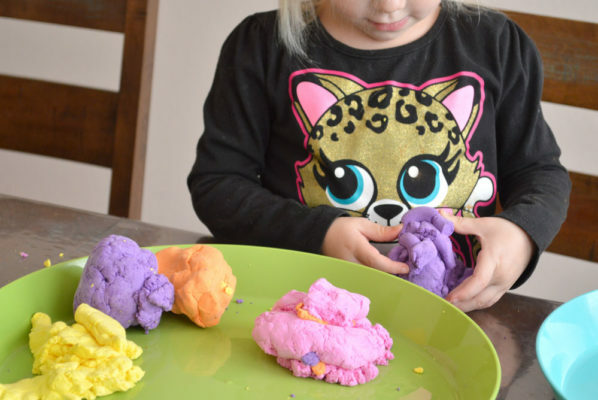 Here are some fun ideas and gear for indoor and outdoor play and creative healthy snacks! My kids love playing with their toy kitchen, but plastic food can be a bit boring and cardboard play containers resembling juices boxes and cereal boxes don’t hold up long. 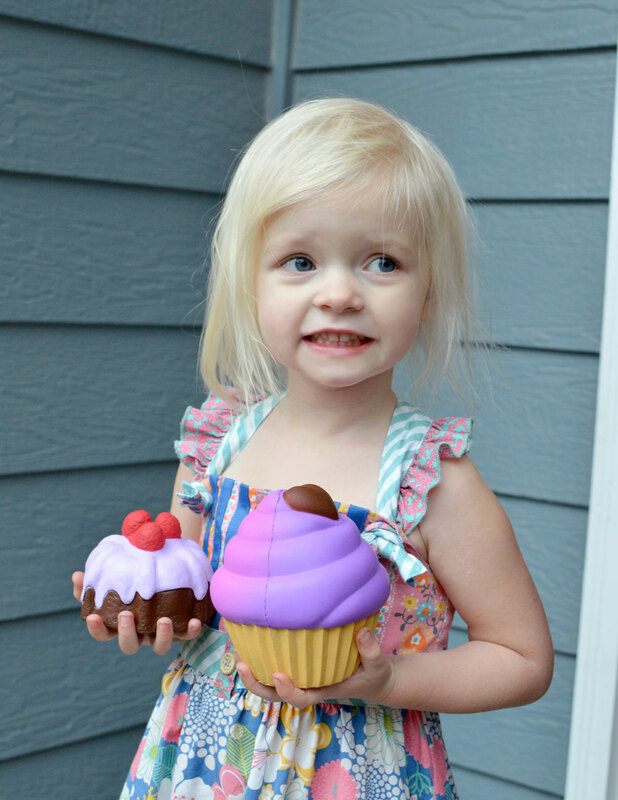 Soft’n Slo Squishies are a fun collectible play food! Based on the latest trend from Japan, these squishable treats look like life-sized foods and they are completely squishable and pop back up within seconds! Soft’n Slo Squishies come in completely unique designs like these cupcakes and pancakes with super squishable details. 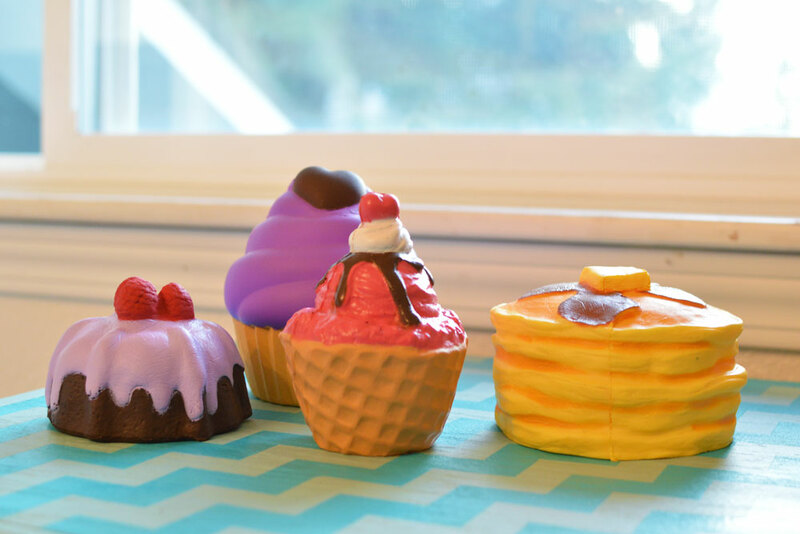 If your kids love play food, they’ll love collecting these colorful treats! My girls love playing with their Soft’n Slo Squishies and having tea parties and pretend birthday parties. Kids can squish each treat and watch the toy expand back out to full size. These play treats come in so many colorful designs you’ll have hard time choosing your favorites. Shop all the squishable treat designs here! My girls love going outside and playing pretend, inevitably while wearing a dress-up dress. I think my girls spend more time in a princess dress than wearing regular clothes. 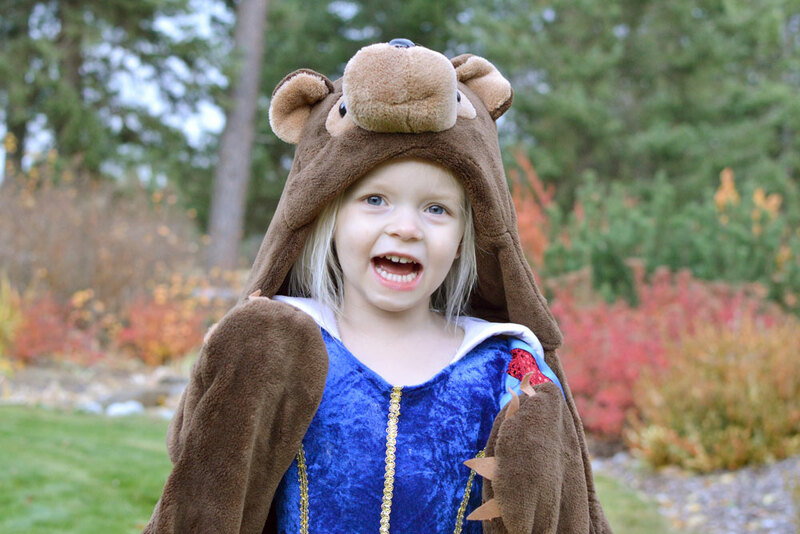 Nevertheless, when Snow White wants to shape-shift into a lovable or ferocious bear, she can quickly do so with a Wild Things Animal Blanket! These fun blankets come in a variety of animal designs; several bears, a lion, a shark, even a turtle. 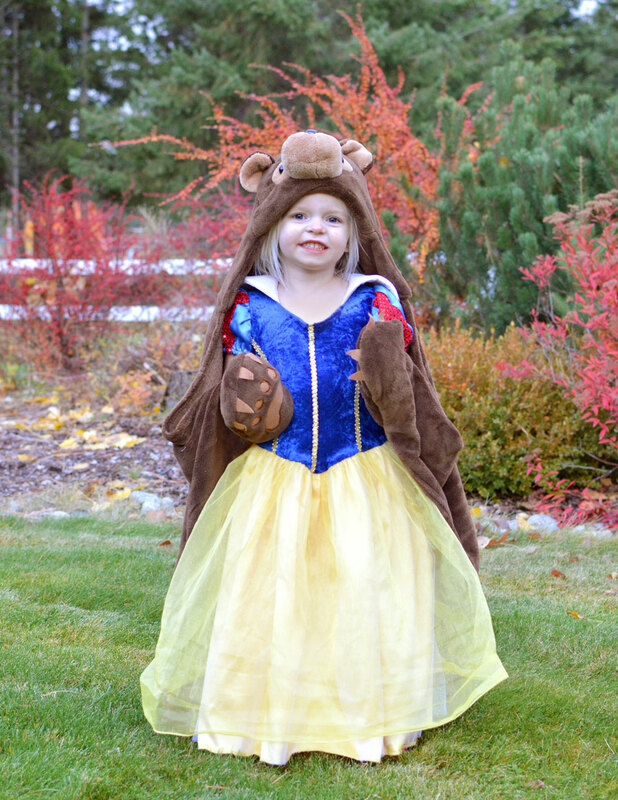 Kids can dress up as their favorite animal while also staying cozy! These blankets are super cute with animal head hoods and paws that kids can slip their hands into. Wild Things Animal Blankets are perfect for cuddling, prowling around the living room, or just staying cozy during nap time. 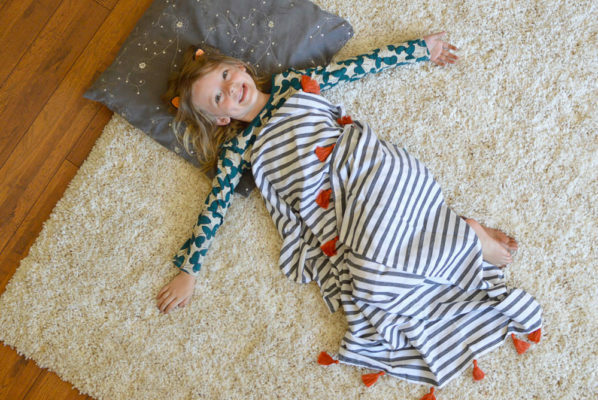 Hours of pretend play await with a Wild Things Animal Blanket! Kids can have a hard time putting on gloves, which is why Mittyz are ingenious! Mittyz kids gloves are perfect for when you child wants to walk around the snowy yard and you know their fingers are going to get cold or they are going to drop a glove. 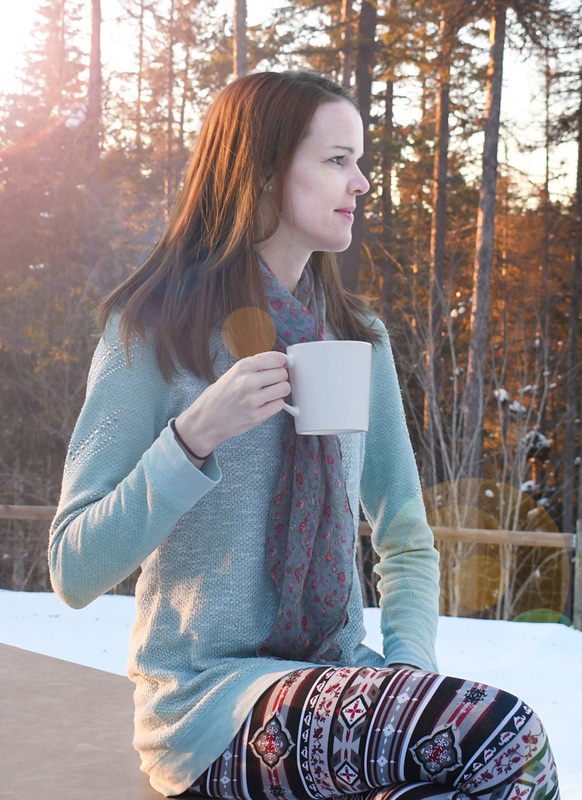 Mittyz are oversized, keep a child’s fingers all together in a cozy-warm pocket and they cinch around the wrist. They are also roomy so kids can still use their fingers to make a snow ball or snowman. My kids are finally old enough to try some winter snow activities this year — sledding, tubing, possibly even skiing. Small children do not have fun in the snow when their fingers are cold. 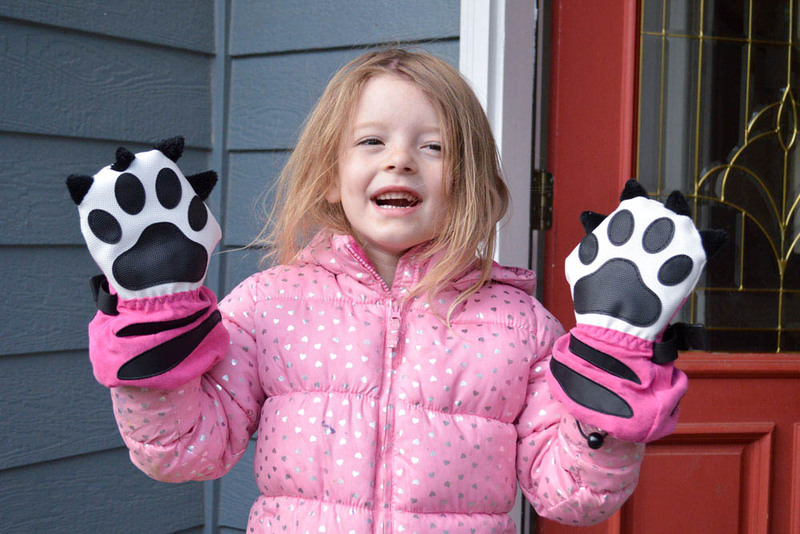 These fun paw-inspired kids’ gloves are great for allowing kids to maximize outdoor snow play; they also come in several other designs. Mittys keep snow out and the water resistant, insulated material keep fingers warm. Snag one (or several) of these pairs of innovative kids’ gloves as a practical and cute gift idea for your kids. After play time my kids are ready for a snack. I like to give my kids creative and tasty snacks that also inspire them to try new foods, or at least enjoy healthy snacks. Healthy chips, whole grain crackers and fresh fruit are great snack options! We also make a lot of homemade fruit and yogurt smoothies. 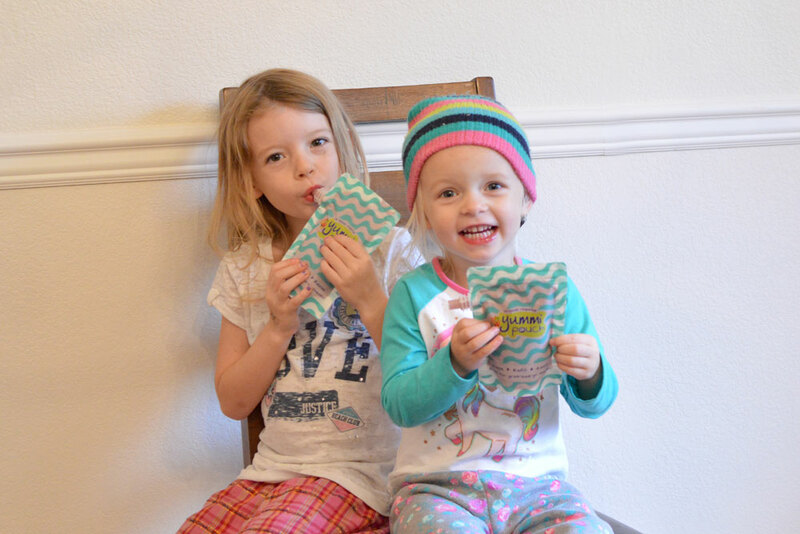 Yummi Pouch reusable food pouches are an easy way for kids to enjoy smoothies. I typically mix up a smoothie with banana, yogurt, orange juice, cup of berries, and ice. When I have it on hand, I add a handful of baby spinach leaves. 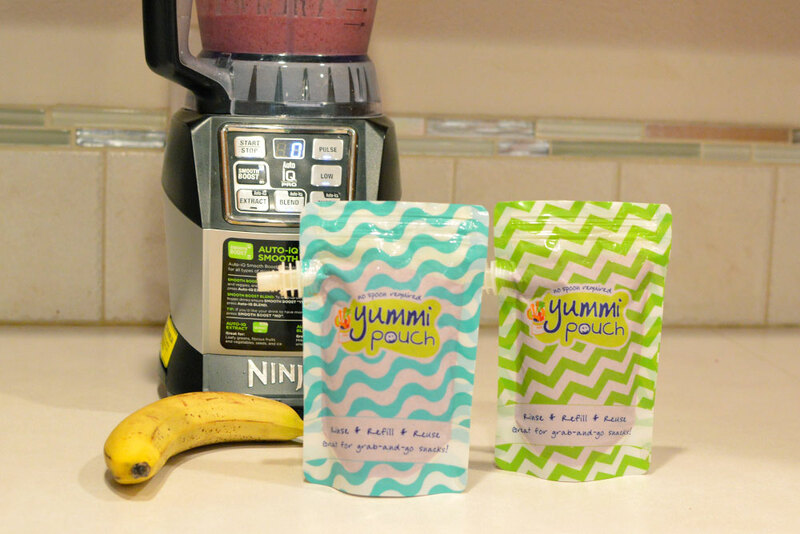 It’s easy to make a homemade smoothie and pour it into a Yummi Pouch through the top resealable opening. Kids can drink their smoothie through the side spout, which my girls think is fun. My 2-year-old boy can only enjoy a smoothie in a Yummi Pouch because he’s too little to drink from a cup without making a mess. 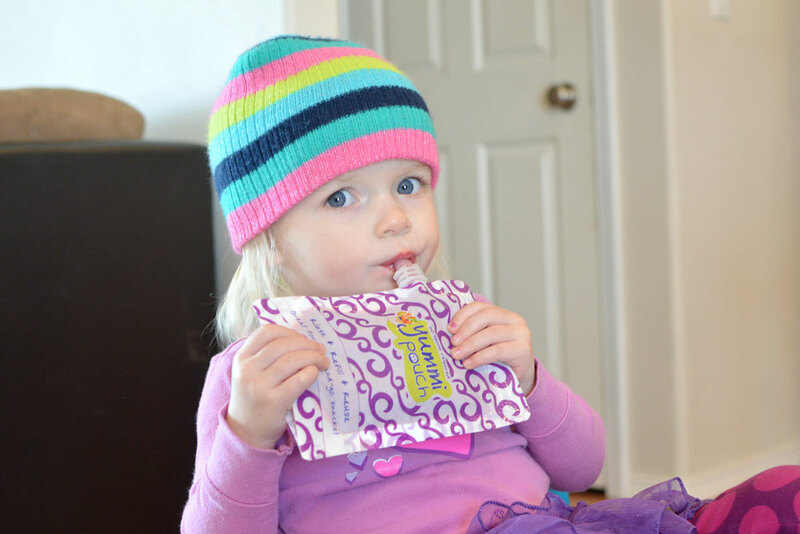 Yummi Pouches also make snack time flexible because you can take them on the go. 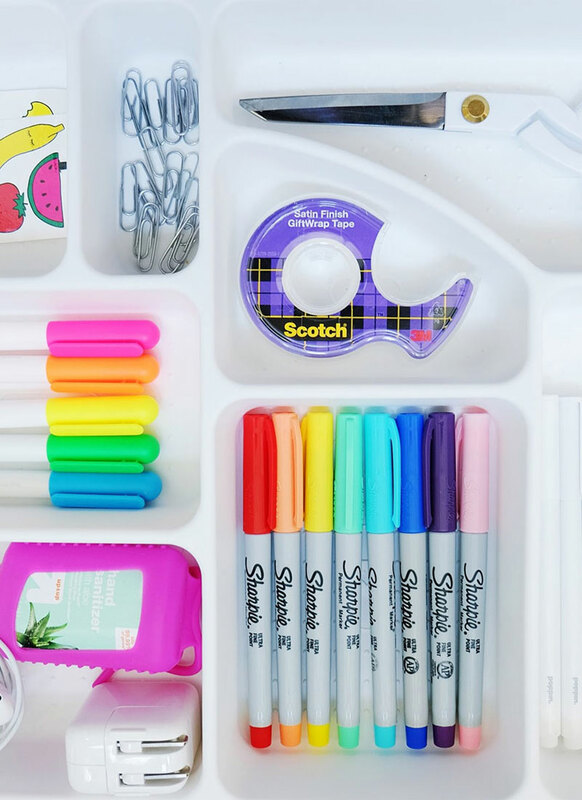 You can also fill a Yummi Pouch with healthy yogurt (so you don’t have to buy the individual containers) and put it in your child’s lunch box. Once empty, simply open the Yummi Pouch by the top resealable opening and hand wash the pouch using a bottle brush. You can also rinse out the reusable food pouch, fully expand the bottom, and place it upside down over two prongs in the dishwasher. 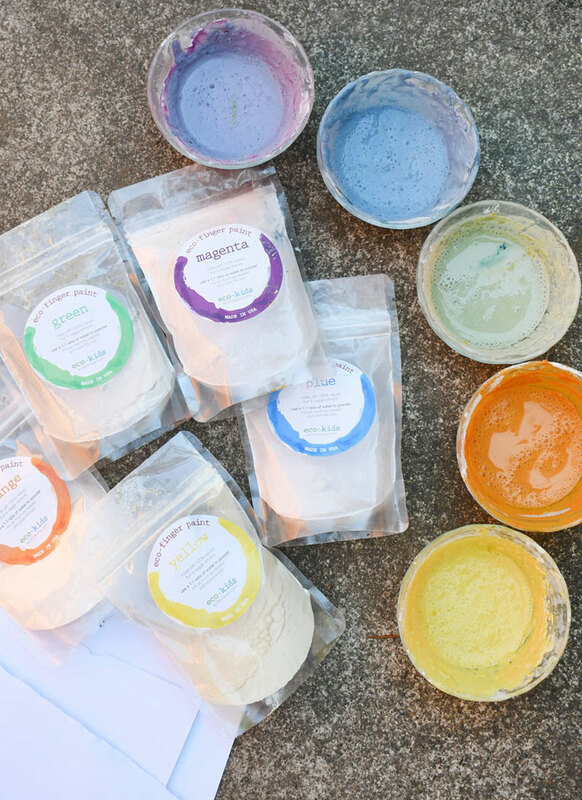 Have your kids tried enjoying healthy blended snacks in a reusable food pouch? Yummi Pouch Brights come in a set of 4 colorful designs. When your kids aren’t drinking their snacks they are often scooping. Olababy silicone baby spoons are great first spoons to learn motor skills and the art of eating with a spoon. My little guy loves feeding himself and these soft OlaSprout silicone spoons are chubby so he can easily grasp them and the spoon design is soft on his gums. The leaf shaped spoon is a perfect size for delivering just the right amount of food into my little boy’s mouth. Of course, once he learned to feed himself, there was no going back! So what do you like making for snack time? 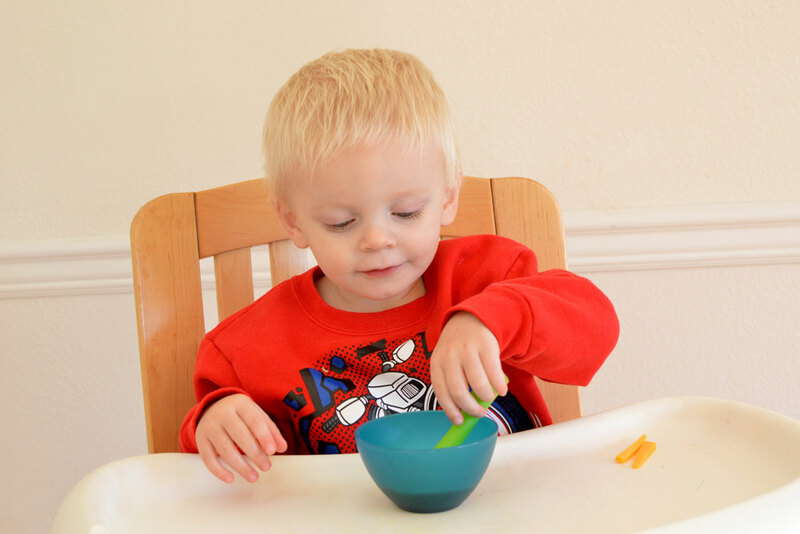 My kids love fruit, trying a variety of foods with a preschool 5 senses taste test, and eating food shapes. Healthy snack time doesn’t have to be hard. 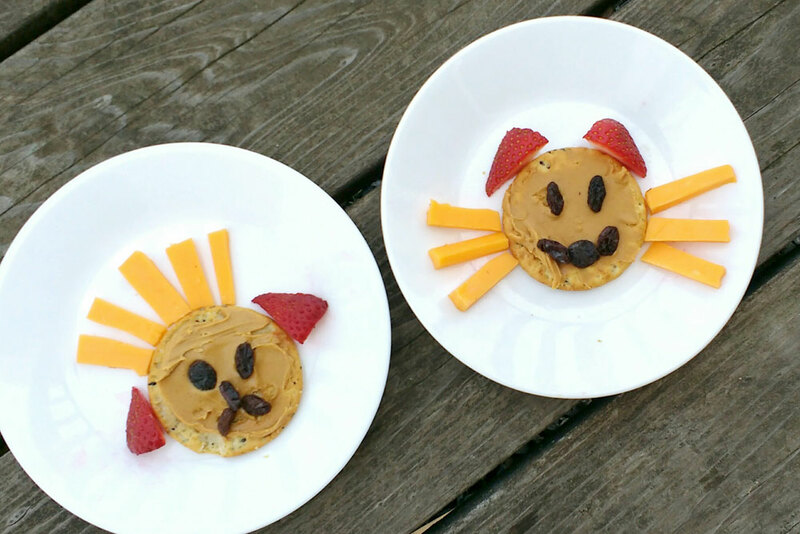 Once you figure out what your kids like, it’s easy to be efficiently creative at making snack time fun! Here are some of the snacks my kids enjoy. Cracker puppies and kitties are an easy way to encourage your kids to enjoy a snack that covers multiple food groups! Start with a cracker (grain), add peanut butter or cream cheese (protein/dairy), and decorate with raisins and strawberries (fruits) and add cheese details (dairy). I mean, who wouldn’t want to eat these adorable pet-inspired snacks!? 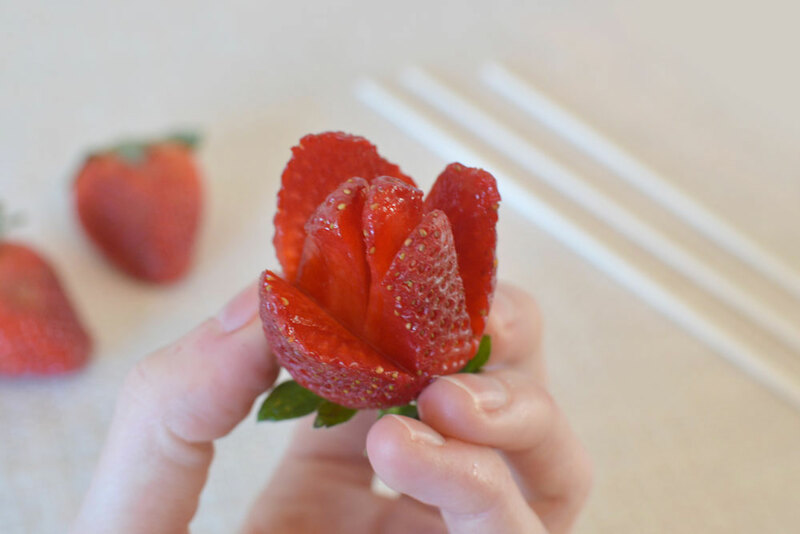 Make strawberry roses by slicing strawberries to make rose-inspired petals. Of course, my kids don’t really resist eating berries in the first place; they’ve been known to clean out an entire box of raspberries while on the way home from the store! But these strawberry roses look adorable! Make a simple and creative snack plate. Use small cookie cutters to cut fruit shapes and cut sandwiches into mini triangles. Veggie straws are another easy and healthy kids’ snack idea. 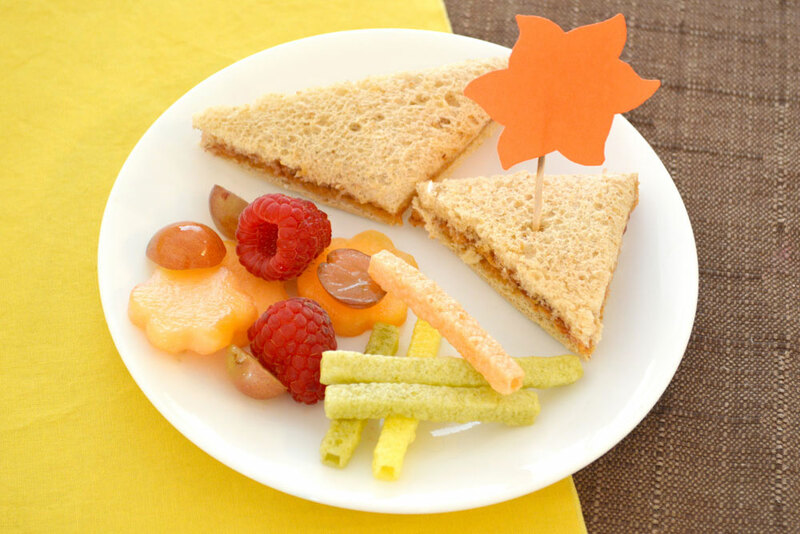 We enjoyed these tasty treats at our kids’ sunshine party play date with friends! I hope you enjoyed our ideas for kids playtime activities, outdoor gear and kids gift ideas, and healthy snacks for babies, toddlers, big kids and moms too! What’s your family’s favorite thing to do for play time or snack time? We’d love to hear your ideas shared in the comments.